Do you have a trustworthy local courier service? For a business that relies on speed, you need the best courier service. This can help improve your client satisfaction. Studies show that courier services can influence business customer satisfaction. This is true for both brick and mortar or e-commerce businesses. 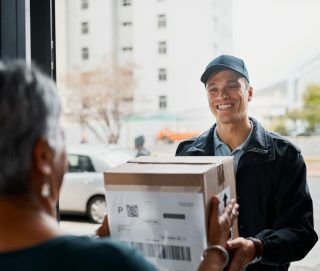 Regardless if you are an online business or you have an infrastructure, a local courier delivery service can spell success or disaster for you. Since there’s so many of them out in the wild, how do you find the right courier company? In this article, we’ll talk about what to look for in a local courier service. What do you need to find someone that fits your business? It looks hard, but if you keep reading, it will be easy from the start. Knowing how to follow your products gives you and your clients peace of mind. Customers care about proper shipment tracking. The top marks for consumer shipping revolve around “easy to track shipments”. Also, tracking that shows the estimated time of arrival (ETA) will get priority. If the ETA can happen earlier than anticipated, that’s a plus to your side. Same day delivery services have many business benefits. A local couriers service that can get items quicker can net the business better reviews. No matter how big or small your business is, cost is a factor. It will be one of the primary considerations when picking the right courier company. Cost can affect your bottom line, and the lower the price, the better it is. However, a perfect balance of price and deliverability is essential. Finding the right courier team for your products requires a service level agreement. How do you do that? Find a business that has the right infrastructure and warehousing capabilities. They should be able to handle whatever volume you need. Service reliability is the most crucial factor that you need to look for in any delivery courier. A reliable service team means not only can they do the deliveries on time, but they should also be capable of doing the job on a consistent basis. If you’re unsure how reliable a team is, the first thing you look for is local reviews. People love to record their experiences with their couriers. The best courier service will have good reviews across. They will also have solid testimonials for their reliability. If you want to try a new service altogether, compare different quotes. Compare the writing on the paper and discuss compliance with the agreement. If you’re paying good money for a courier company, make sure you have a variety of delivery options. Having a variety of delivery models gives your business pricing flexibility. An excellent example of this is Amazon. The eCommerce site has a variety of delivery options. This depends on the service that the customers want. With Amazon Prime, they provide same-day delivery options for local orders. If the products need drop-shipping, they offer a separate delivery option depending on the shipping cost the customer is willing to pay. For small and medium businesses, you need at least two to three delivery options. Local delivery needs to have a quick turn around time. Out of city or out of state deliveries, however, would need a separate SLA. Damaged goods are a common problem in both eCommerce and brick and mortar businesses. There are countless horror stories online of a delivery courier damaging goods. This will not reflect well on your business. If you want to prevent lost time and customer dissatisfaction, there’s an answer to it. Make sure to find a local couriers service that has insurance coverage. This insurance will cover them in the event of neglect or damage. In the event of breakage, the proper recourse is to refund the customer or give them the same product. You would also need something extra to prevent customer complaints. If that happens, the courier’s insurance needs to pay for the damage. Insurance makes sure you don’t pay out of pocket. It reduces the total cost that you need to bear. It will also allow you to take care of any impending customer service disaster without it affecting your bottom line. Find someone who knows how to handle fragile items in the first place. The product journey of a customer starts with the courier business. If the person who delivers the parcel is brusque and unprofessional, the experience will never be the same. Having professional couriers can make the day of the receiver – or even add to the entire experience. What do the couriers look like when they deliver? What does the product look like during delivery? How do they talk to customers? These are valid questions to consider when picking the best courier service for your business. Find people with a well-trained fleet of pros who can provide the full customer experience. These people will be the life-blood of the service. It takes time to pick the right people to deliver your goods to your customers. You would need some extra effort to wade through quotes. Even then, you can’t be sure who to trust. When choosing the right local courier delivery service, factor not only the price but also how good their service is. What’s their reputation? What’s in the black and white? Do they have a service level agreement? If your service area is in Miami and Fort Lauderdale area, why not rely on ASAP Courier? ASAP Courier is Florida’s premiere local courier, with various delivery options and rush services depending on your needs. Get pre-scheduled route deliveries, strong warehousing options, and many more. Talk to us at Chicago Messenger and see what we can do to help. Sending your parcels is as easy as A-B-C.
It’s not a huge secret that e-commerce is taking over retail. Last year, Americans spent more than $453 billion on online purchases. The industry is only getting bigger. Amazon and Walmart are taking e-commerce to new heights. But even Amazon, which rules the e-commerce school, has run into a problem. Despite their overwhelmingly popular Prime service, which allows people to get their packages in two days, people want it faster. Amazon found that 60% of their Prime and 41% of non-Prime customers get deterred from buying something because of slow shipping. And we’re talking two days. That, in a nutshell, is why final mile logistics isn’t only important, it’s a necessity. In this article, we give you more insight into this growing topic. We’ll also give you some tips on how to get the most out of your third-party logistics service. What Are the Basics of a Supply Chain? Before we get into final mile logistics, let’s go over some important basics. If you’re one of the 30+ million small businesses in the U.S., you’re always looking for ways to cut costs. You’re also looking for ways to increase sales. The easiest and fastest ways to do both is using a third-party logistics company. A 3PL company handles any or all aspects of your supply chain. Your e-commerce business probably utilizes a third-party logistics provider. If not, you’re wasting valuable time and money. In any kind of e-commerce, the process is the same. The products get stored. A customer buys it online. The items get picked and packed, then shipped. How your company goes about it is different. If you use a 3PL, they do everything aside from being the customer buying your product. If you self-fulfill, you’re storing your products and handling every aspect of the supply chain. In essence, you’re the supply chain. If you use a drop-ship supplier, they make and store a White-Label product. Then, when your customer clicks “Buy,” the drop-shipper puts your label on it, then does everything else to get it to your customer. Yes, all three methods are very different. But there’s one thing all these different processes have in common. Final mile delivery, or final mile logistics, is the most important piece of their puzzle. What Is Final Mile Logistics? Final mile logistics, or final mile delivery, is the last step in the shipping process. It’s when a product moves from a transportation hub to its final destination. This could be a receiving dock in business-to-business transactions or an individual’s front door. Sounds simple, right? It also doesn’t sound that important. It turns out, that final mile logistics is one of, if not the most important parts of the supply chain. Last mile delivery makes up 28% of the total cost of shipping an item. That alone makes it important. As we already discussed, consumers want everything now. The second they enter their credit card info online, they’re waiting at the window for the delivery truck to arrive. Everything hinges on last mile shipping. Everything gets affected if there’s a breakdown in the final mile. If a shipper loses your product, your customer gets mad. They call, usually in an aggravated tone, and demand you send them a replacement. Your salesperson or customer service representative is now upset. They’re desperately trying to get a duplicate order sent out. The warehouse stops what they’re doing to take care of this priority. The most frustrating part for you as a business owner is that there’s nothing you can do about it. You’re about to gain some insight into the challenges of final mile logistics. Five main factors play a role in last mile delivery challenges. Every company can pinpoint exactly where their final mile delivery breakdown happens and it’s not the same for everybody. As you’re well aware, the customer isn’t always right. In fact, the customer is a cause for some huge challenges in last mile delivery. First, is customer errors. This is when they input the incorrect shipping address or make typos to the address. Next, customers shipping items to remote locations poses challenges for delivery. Finally, a customer not being present at the time of delivery causes issues. Sometimes, a package gets stolen off their front porch. Other times, weather damages the package. When the accuracy of the final delivery is in question, it costs someone time and money. That someone is usually you. Most of the time, B2B and B2C deliveries get loaded onto the same trucks. This system is inefficient but the theory is that it saves money. The truth is, it costs more in the long run. B2B shipments are larger and more time-consuming. A delay in either causes big problems for the recipient. Companies need their product to run their business. Consumers may need medical supplies to avoid a health crisis. Putting both on the same truck increases the risk that there will be delays. It can also lead to damages. Some goods require special handling and can throw off final mile logistics. The delivery of food, toxic/flammable goods, and fragile items take extra planning. When your customer gets the notification that their order is “out for delivery,” they get excited. Little do they know, all that means is that their package is on the truck. There’s no way to track in real-time where a delivery actually is the delivery process. Likewise, outdated computer software, GPS, and handheld devices don’t send the information with the efficiency they should. The infrastructure in the U.S. is a major concern for many industries. But, when it comes to logistics, it may be the most troubling of all. Roads and bridges in disrepair cause massive delays. So does inefficient route planning. All these lead to longer travel times and possible delays. In the end, your customer’s frustrated, and we’re back to square one. The good news is, there are solutions to these challenges. This is welcoming news for companies that rely on last mile logistics to keep their customers happy and profits up. The bad news is, if you’re already envious of Amazon’s amazing distribution system, their solution is like rubbing salt in a wound. Amazon has their own delivery service. These are the couriers you see running all over town, delivering packages to the Amazon faithful. Using their “Delivery Partner System” allows them to have more control over shipments than they did using the “big three” shippers. Now, you’re likely not in the position to start your own delivery service. But you can take advantage of courier services that focus on final mile logistics. Using a company that specializes in getting the final mile done right is a huge step in the right direction. There is no question that final mile logistics is one of the most important parts of the supply chain. The only answer you need is how to ensure you’re using the right service. At Need It Now Delivers! we focus on making sure your products get to your most valuable assets – your customers. From air freight to rush courier service, we provide every aspect you need to deliver not only your product but unparalleled customer service. We’ve perfected last mile home delivery and would love to talk to you about how we can deliver results for you. While just a few years ago, it was typical to have to wait four or five days for a package to arrive, that won’t cut it in today’s environment. Expectations have changed so much that if people wait more than two days, they start to panic and complain. With the help of on demand delivery, customers get what they want as soon as they want it. Here are five ways that delivery has changed around us. Since there’s no shortage of growth in cities around the world, there need to be better solutions for densely populated regions. When we rethink what deliver means in tight and congested cities, we can save money, space, and help lower our impact on the environment. With the help of electric trucks used by some of the most established companies in delivery, the whole world of delivery changed. Within just a few years, the cost to produce electric trucks will rival the cost of creating a diesel one. With UPS converting their trucks to electric in New York City, they’re prepared for the coming wave of electric vehicles. They can even cut their emissions down by nearly half in the next decade. The west coast is also seeing a change as Chanje has put down half a million delivery trucks, with clamoring to make them all electric. Electric vehicles are just one idea for getting rid of large trucks that are needed to move large objects. However, a Jakarta company, Go-Jek, is creating a fleet of motorcycle taxis to deliver objects all around the city. While we don’t have full on-demand delivery, it’s right around the corner. While the restaurant and small grocery stores have had on-demand delivery for decades, large companies are moving faster than ever. The speed of delivery changes expectations as it grows rapidly. Costco and BestBuy are in a rush to be the best same-day deliverers while Amazon pushes to meet the needs of customers better than most any other company. In fact, Amazon has rolled out one-hour delivery services to push the envelope even further. These speeds that weren’t industry standards just a few years ago are spiraling out of control. Target has been trying to keep up with next-day deliveries and has managed to pull their weight. Even luxury and designer brands are starting to branch out into this concept. Gucci can now give you their luxury goods in just 90 minutes in a wide variety of markets. While hot food and perishables make perfect sense, there are speed records being broken by companies that no one asked to speed up. It should prove to be great for business, however. “Ghost restaurants” might be a little bit of a misnomer, however, there has been a huge rise in the number of restaurants that have no tables and chairs. They aren’t around to serve customers on a plate with the help fo servers, bussers, and hosts. These restraints are purely delivery only. In big cities around the world, restaurants that top the charts on GrubHub and other services are found to be getting ratings and pleasing customers. However, if you show up to have a dining experience with them, you’ll be sorely disappointed. You won’t find a waiter, a tablecloth, or a sommelier anywhere to be seen. While this might not seem like the most sustainable move in the world of delivery, it’s a smart move for popular restaurants whose kitchens are swamped. Having a second kitchen where you can serve just the special order could take some of the pressure off the kitchen. That will also allow restaurants to serve more people in a more efficient way. While it’s no breaking piece of news, grocery delivery has returned in a totally new way. Grocery delivery used to be in the real of small town living, where a local kid would swing by with an order you made over the phone in exchange for a nickel. When it was reported that Amazon had purchased Whole Foods last year, a lot of people were left scratching their heads. Why would Jeff Bezos, the king of efficiency, buy a sustainable, compassionate, and fairly inefficient business? In a market like Whole Foods, there’s an attention paid to food that you see nowhere else. The apples are always piled perfectly high and each one feels carefully selected. However, that timing might not work for everyone. Some people don’t want to pick out the perfect apple and just want one now. If you’ve got a list of other things, you could potentially get your groceries delivered. With the success of Whole Foods and New York’s Fresh Direct, it wouldn’t be surprising to find the aisles of the grocery store quiet in coming years. 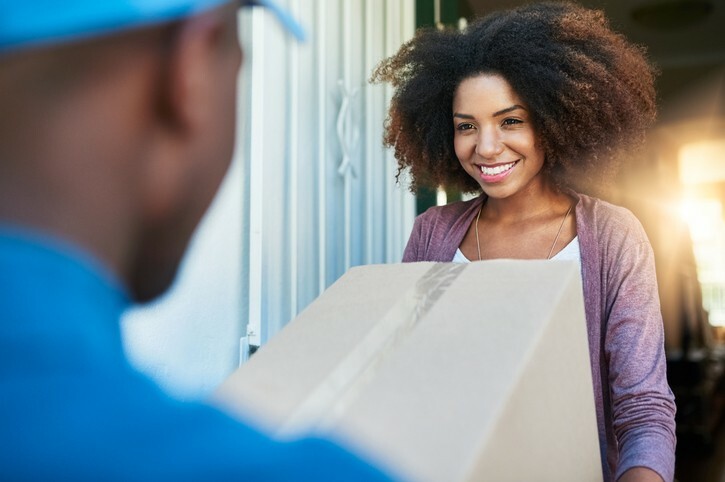 With the recent advent of keyless entry and proposals for in-home delivery, a company like Amazon can unlock your home and leave packages behind. Never worry about having a package stolen or getting it up the stairs. You’ll have it waiting right on your table when you get home. While various companies are struggling to get the contracts with all of the major online retailers, users have raised privacy concerns. Even though it’s an interesting idea, not everyone wants strangers going into their home. 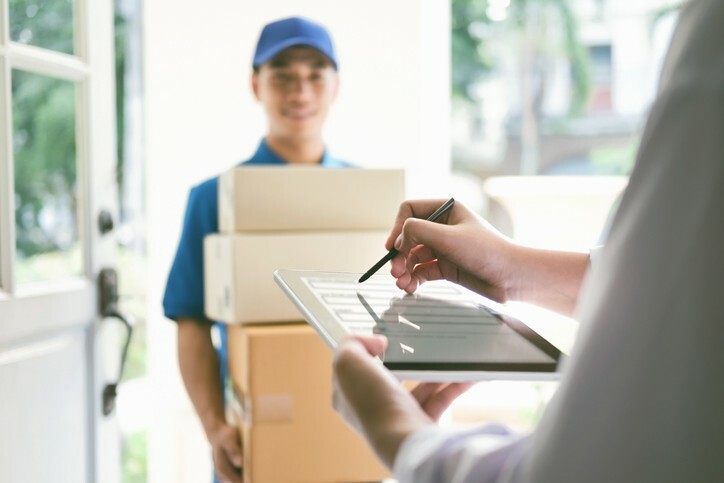 While you might not want to ultimately handle on-demand delivery for your business, it might be an inevitability in coming years. If you’re not ready for the rising delivery tide or haven’t made the effort to learn about it, perhaps now is the time. If you haven’t organized your warehouse yet, check out our guide for reasons why. As e-commerce continues to grow, so does our demand to have everything now. Online retailers and logistics companies have to keep up with that demand. They offer same-day delivery and other courier options to meet those needs. Unfortunately, the last stage in the process called last mile logistics doesn’t always live up to those promises. The holiday season is a perfect example. Almost 18 billion cards, parcels, and packages get delivered during the holidays by the three biggest U.S. shippers. But how many of your packages or cards didn’t get to you in time, despite these companies adding a larger workforce? Final mile delivery is one of the toughest challenges carriers face. It’s also one of the most frustrating for customers. In this guide, we explain what last mile logistics means and how to overcome its challenges. As you can imagine, it takes many steps to get a product into your hands. After the design and prototype get approved, a product gets manufactured and packaged. From there, it gets moved to a warehouse where it awaits its fate. Some companies store their own products while others ship them to an off-site warehouse or storage facility. After an order gets placed – either by a retail buyer or an end-user, the product is on the move! Last mile logistics, sometimes referred to as final mile delivery, is the final step in the shipping process. It’s when goods move from a transportation hub to their final destination. This is typically your front door or receiving dock. It doesn’t sound like there should be any issues with the final mile, but there are more issues at the final stage that at any point in the chain. Believe it or not, it’s also the most expensive part of the process. Last mile logistics account for 40-50% of a company’s total logistics costs. For decades, carriers have improved on different techniques and technology but it’s still not where it should be. There’s added pressure on shippers to be faster than the next company or they’ll lose business. When you track a package and get the “out for delivery” response, you’re elated. But then the waiting game sets in. In your mind, you think it means you should be hearing the truck’s backup beep any minute. In reality, it only means your package is on a truck somewhere in your delivery area. That’s part of the last mile problem. In rural areas, a truck could have many deliveries on a route. If there’s a hold up on any of the stops, your delivery time gets pushed further back. But there’s also a demand for accuracy whether your package is on the truck or on your neighbor’s front step. That’s one of the biggest challenges carriers face. What are the Challenges of Last Mile Logistics? The challenges of last mile logistics involve several factors. While every company can pinpoint their own deficiencies in last mile delivery, some factors are universal to some extent. Customer nuances lead to many logistics issues. Inputting the incorrect address, remote locations, and not being present at delivery are all cause for concern. These factors come into play in the accuracy of the delivery as well as costing valuable time and money. Large B2B deliveries are often handled and transported with B2C deliveries. This is an inefficient system built to save money but ends up costing more in the long run. B2B shipments tend to be larger and more time-consuming than a 2-pound package from a retailer. A delay in either delivery has repercussions. On one hand, a business needs the goods to avoid downtime or continue with production. On the other, medical supplies are also needed and could result in a serious health crisis. On occasion, the types of goods getting shipped can cause nightmares for a logistics company. Dangerous, toxic, and flammable goods must have safe handling. Fragile/breakable and perishable items also need extra planning. As advanced we are as a nation, we still need to improve on the tech we do have. Inaccurate computer systems, GPS, and handhelds cause delays by failing to work when they’re called to. Couple inefficient hardware with shaky software and it’s clear the logistics system as a whole can use some upgrading. Drivers face longer travel times and inefficient routes when infrastructure is in poor shape or roads are in disrepair. While this isn’t the sole cause of the last mile problem in the U.S., it does add to it. In international shipping, poor infrastructure affects deliveries the most. 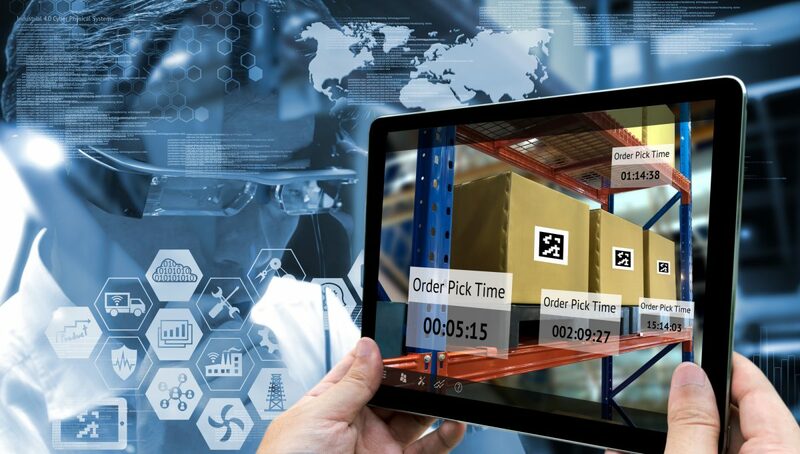 Retailers can affect change by reviewing their warehouse and fulfillment processes. Notification should keep customers in the loop as the shipment reaches checkpoints in the process. Technology should improve so everyone in the chain has better knowledge of where their product is and when it’s expected to get delivered. Ordering software should have immediate error checks for incorrect addresses. Put real-time visibility software in place so everyone in the chain can track shipments and catch inefficiencies. Make routes more efficient. Inefficient routes cause poor time management and increased fuel costs. Optimizing routes to meet expectations is a realistic solution but takes more planning on management’s end. Carriers need to figure out how to get the most deliveries out of a driver in the least amount of time. Variables such as delivery windows, location, and truck sizes and load need to get taken into consideration in the process. As you can see, last mile logistics are an important part of the shipping process. Some business owners believe it’s the most important part. But it’s also where the most mishaps can occur. Choosing a carrier that understands the importance of last mile logistics is paramount for having your shipment arrive safe and on time. That’s where we come in. Chicago Messenger handles freight around the world in a secure and dependable manner. We work 24 hours a day, 7 days a week, 365 days a year to make sure your cargo gets delivered on time. Check out all our freight services or contact us today for your free quote.